Phases. They come and go. The “Save the Shrews” phase. 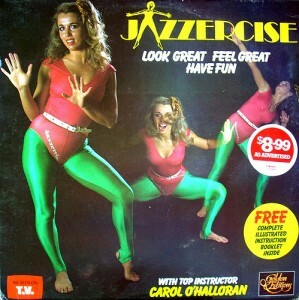 The Jazzercise phase. And then there was the phase when wearing parachutes on our legs really seemed like a good idea. Whatever it is, we all go through them. When reflecting on myself, I’ve had quite a number. There was a phase when all I really wanted when I got home from school was bacon. And chocolate milk. Obviously this was before Weight Watchers graced us with their presence and cholesterol content was really of no matter. As far as appearance, I totally rocked out with L.A. Lights. 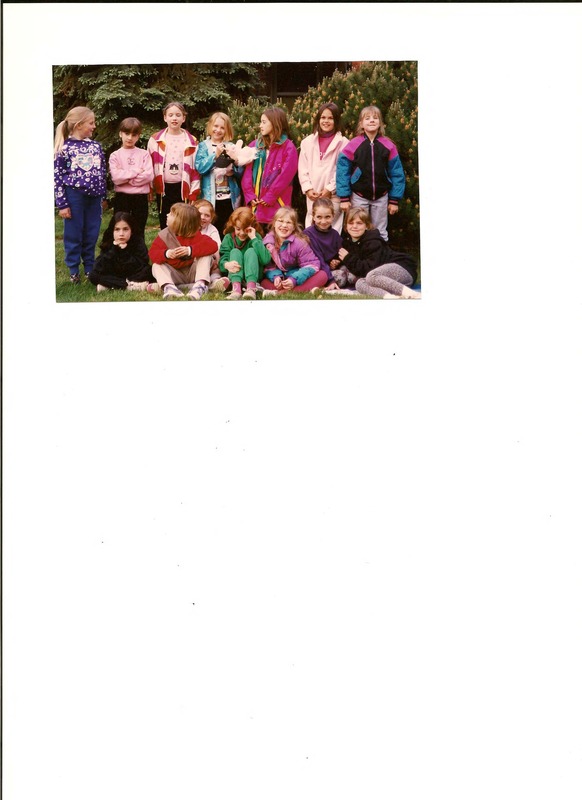 Yes, I owned a scrunchie (or two) and I also went through one summer when I only wore white t-shirts. Let’s count our lucky stars I never encountered a sprinkler with a mind of its own in that stage. By far the most prominent phase as far as wardrobe is concerned, however, is what my family likes to dub the “green bean” stage. In the heyday of Gap Kids, that chain manufactured one wicked sweat suit. A nice heavy weight, cozy to the touch, they just couldn’t be beat. Far too young to be affected by the stigma of donning a sweat suit in the middle of the day, I was taking full advantage. At the time, the majority of my class was wearing suits of a more windproof nature (warm-up suits, if you will). On the playground, I watched as they got picked off one by one for going the wrong way up the slide or playing too rough on the monkey bars. Warm-up suits seemed only to be produced in a variety of intensely neon patterns, and this quality gave them quite the inability to go unnoticed. I was forging my own path, and chose to keep a low profile in earth tones. Additionally, I had developed an intense fear of the color red. Still coming into my own with the pale skin/fire-haired combo, all I knew was that red, and anything sitting close on the color wheel, just didn’t work. Playing it safe, I nestled my wardrobe safely into the confines of red’s complement. Green was the color of choice, and I lived dangerously through variations like sea-foam and teal. I kept it comfortable for the year. 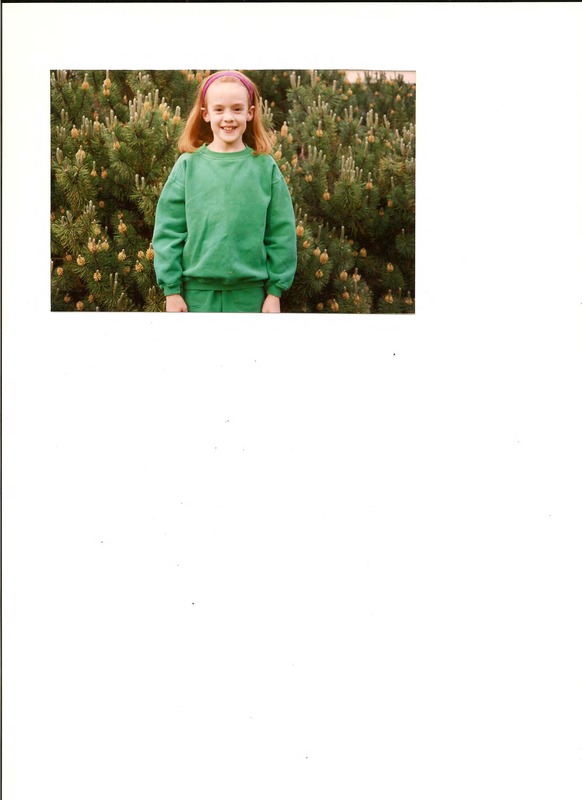 I wore sweats exclusively, and in only the finest emerald tones. All of this brings me to my latest creation. 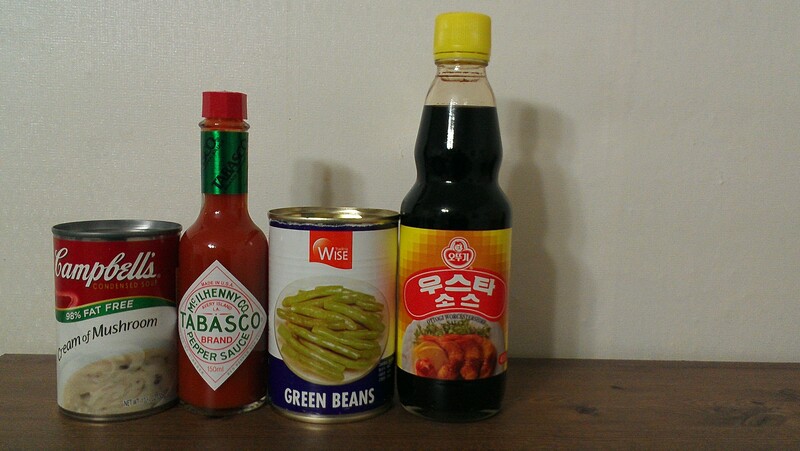 Around Thanksgiving, I was set loose on a quest for green beans. It was difficult, but I managed to come up with four of the most ancient looking cans from only the most obscure location. Three were consumed in the feast, and one I stashed safely in my cupboard. Finding myself inside on a rainy evening, not wanting to make a trip to the store, I decided the time had come. I was ready to make use of the treasure. After assessing the stocks, I also took notice of Campbell’s Cream of Mushroom. An idea occurred to me. By this time, you’ve probably noticed that, when left to my own devices, I frequently cook with chicken, and I usually prefer one pot. We’ll attribute this last tendency to a deep-seeded hatred for dish washing, sowed carefully over the last 20 years. I promise next time to mix it up. In the meantime, a recipe was stewing, and I went for it. Now, I know some of you may turn up your nose. For a variety of reasons. Most prominent being the likeness of my creation to a bowl of slop. Well, I happen to like slop, and what oh-so-tasty slop it is!! I’m going to take a moment to also recognize my inability to do this up properly. I’ll reiterate…it was RAINING, and I didn’t have cheddar cheese in the house, nor anything useful for breading and frying onions. This all could lead to a greater gain (quite literally AND figuratively!) and I was working with what I had. The suggestions are included with the recipe. Here’s the deal. If you came of age anywhere in the vicinity of the U.S. of A., or happen to have ever visited an American holiday gathering, you’ve probably come into contact with green bean casserole. An old stand-by, you either love it or you hate it. After living in close vicinity to a friend who joined Costco solely for the purchasing power of flats of Campbell’s soup and jumbo-sized tins of french fried onions, I developed a yearning for it. The recipe that follows turns the casserole into somewhat of a sorry excuse for a balanced meal. It met my criteria! 1. Season chicken with salt, pepper, and paprika. Dredge in a dish or put flour in a paper bag to toss with chicken until lightly coated. 2. Heat oil in a large skillet over medium heat. Add chicken to pan and cook just until browned. Remove from pan and set aside. 3. Add onions to hot skillet and saute about 4 minutes until starting to brown. Add mushrooms, and saute another 2 minutes. 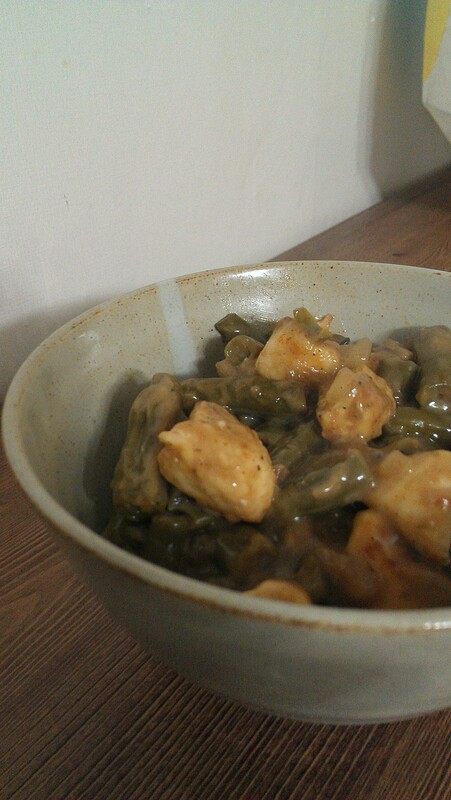 When mushrooms are softened, add green beans and mix just to heat. 4. Pour all remaining ingredients into the pan and stir to mix evenly. Heat for 2-3 minutes over medium, then lower heat and cook uncovered, stirring frequently, for another 3-5 minutes or until chicken is cooked through. 5. (Optional) Top each serving with shredded cheddar and garnish with fried onions.